Software Glitch Causes Brief Delays At Airports Worldwide : The Two-Way The Amadeus Altea booking and check-in software reportedly used by some 125 airlines globally experienced a problem, but the Madrid-based firm that makes the system said services have been restored. 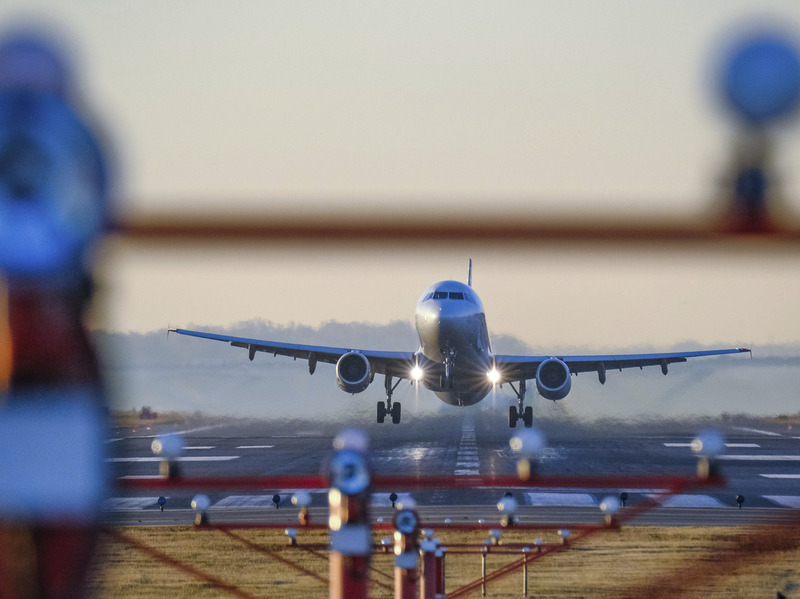 A passenger jet takes off from Reagan National Airport in Washington, D.C., last year. "Amadeus can confirm that our systems are recovered and are now functioning normally. During the morning, we experienced a network issue that caused disruption to some of our systems. As a result of the incident, customers experienced disruption to certain services," a company spokesperson said in a statement emailed to NPR. Amadeus technical teams took immediate action to identify the cause of the issue and mitigate against the impact on customers. Amadeus regrets any inconvenience caused to customers," the spokesperson said. Reports of minor delays have come in from airports worldwide, including Washington's Reagan National Airport, London's Heathrow and Gatwick, Charles de Gaulle in Paris, as well as airports in Zurich, Johannesburg, Singapore and Melbourne, Australia, according to The Telegraph. "Gatwick described the situation as a 'momentary IT glitch' and said it was not causing flight delays, adding that it believed the system was 'back up and running' after about 15 minutes. "Heathrow said it was causing 'intermittent' problems, but that passengers were still able to check-in, 'although the process may take slightly longer than usual.' "
In May, a similar but much worse IT problem confined to British Airways caused three days of disruptions for the airline's customers at both London airports. British Airways CEO and Chairman Alex Cruz apologized to inconvenienced passengers. A computer issued cropped up again at British Airways last month. And as Reuters reports: "A similar incident occurred in April, when computer issues briefly prevented airlines including Lufthansa and Air France-KLM, from boarding passengers one evening."